Stella Graham Clark (Stanaway) was born 28 August 1889 in Tokatoka (Birth Certificate number 1889/11421). Her mother is listed as Margaret Maud Clark and there is no record of her father. It is understood that James John Stanaway was her father. Stella Graham Clark – (Stanaway) – Tides of Time. We have no records of her childhood, but we assume that this period was much the same as other children growing up at the time. At that time it was more common than not for the young man who happened to get a young woman pregnant, to be encouraged if not forced to be married. For reasons not known James and Margaret do not marry – perhaps it was all kept quiet. It is not clear if James had any input into Stella’s life, or if she was raised by her mother. The first record we have on Stella is her marriage at the age of 18 to Graham Ricketts (Rex) Morton on 15 August 1907 in Auckland by Rev. Scott. (Marriage Certificate Number 1907/5018). Graham Morton (1886-1973) was the son of William Bowden and Caroline Lang, he was born in Whangaroa, Hokianga (Birth Certificate number 1886/947). His father, William, was a carpenter and was originally from Scotland. This is the same family into which Charles George Stanaway marries – he marries Graham’s sister Elizabeth Emily Morton. From the Electoral Rolls we know that Graham was a Bushman. Stella and Graham have three children, all boys, William Graham (1909-1910), Graham Wilfred (1911-1986) and George Edward (1913-1989). A case was being heard in the Magistrate’s Court this afternoon in which Mr and Mrs Graham Ricketts Morton (Mr H. Bright) took proceedings against Jessie Ada Pyke (Mr Burnard), of Te Arai, to recover £20 for alleged wrongful dismissal as married couple. Graham R. Morton, one of the plaintiffs, said he and his wife were engaged by Mrs Gilbert to go out to Mrs Pyke as married couple, at £210 a year, a month’s notice to be given on either side. They worked nearly a month, when defendant dismissed Mrs Morton, saying she” was no use to her, as she had been ill for nearly a week. She asked witness to I remain on. The 1911 Electoral Roll has Stella and Graham living in Tiro, Mangapehi, which is in the Manawatu/Wanganui area, Graham is listed as a Bushman. The 1914 Electoral Roll has them moving to Waimana (Near Rotorua) in the Bay of Plenty, Graham is again listed as a Bushman. From the 1917 WW1 Nominal Roll, we find Graham listed as a bushman, with Stella listed as the next of kin care of the Gisborne Post Office. Graham joins the NZEF with the 29th Reinforcements, F Company, where he serves in France. He is discharged on 1 May 1919 as no longer fit for service on account of illness contracted on active service and returns to New Zealand in 1919 after 2 years and 48 days. Then in the 1919 Electoral Roll we have Stella still in Waimana, however Graham is listed as being back in Mangawhare, Northern Wairoa. MAINTENANCE CASE. In the case of Stella Morton (Mr. R. Smith) v. Graham Morton (Mr. Bullard), a complaint as to noncompliance with the terms of a maintenance order and claim for £42 arrears of maintenance. Defendant admitted the arrears, and counsel contended that the money paid to the complainant, had not been applied for the benefit of the children. Defendant had been able to borrow £10, which he was willing to pay over if suitable arrangements could he made, so that the children would get the benefit of the money. His Worship said that defendant had apparently indulged his own necessities to the last penny, without regard for his family. Mr. Bullard said, that defendant had been under considerable expense, as he had come to Gisborne to institute divorce proceedings against his wife. Defendant, in the witness-box, denied that he spent a considerable part of his time in hotels. He read a good deal, and had played two games of billiards since he came to Gisborne. He had had work for ten days over a period of five weeks. He had only brought one suit to Gisborne, and could not work at some jobs. He had got a guarantee to pay the cost of divorce proceedings, but he could not get his wife’s maintenance guaranteed. His wife had on five occasions refused to return to live with him. Counsel for defendant undertook to pay the amount of £10 into court, and decision in the case was deferred till tomorrow. The Magistrate’s Court today heard the adjourned case of Herbert Neilson, of Napier, truant officer, v. Stella Morton (Mr. R B Hill), mother of Graham Morton, for failure to send the boy to school on fourteen half-days in the period between 5th and 16th April. His Worship remarked that the case had been adjourned to allow defendant an opportunity of adjusting the matter of the child’s attendance at school. He had since received a good report from the educational authorities on the case, and it was evident that the mother was doing her best for the child. Defendant was convicted and discharged. RETURNED SOLDIERS’ APPLICATION. In the divorce proceedings of Graham Ricketts Morton v. Stella Graham Morton (respondent), and Bernard Roy Harvey (co-respondent), on the grounds of alleged adultery, no appearance had been filed by the co-respondent. Mr E. H. Mann, who appeared for petitioner, pointed out that a defence had been filed by the respondent, but had been abandoned. His Honor asked where counsel for respondent was. He thought it was not right that a solicitor who had filed an answer to a petition in divorce should neither put in an affidavit nor appear in Court in order to clear the position. The present petition would be heard, but before a decision was made, counsel for respondent must adopt either one or the other of these courses. Graham Ricketts Morton, the petitioner, farmer of Northern Wairoa, said that he had married respondent on August 15, 1907, at Auckland. They lived until 1910 in Northern Wairoa where the first child was born, and later they moved to Gisborne. Two other children were born of the marriage. Petitioner went with the 25th Reinforcements, in August, 1917, having spent his final leave in Gisborne. He was wounded in the arm and leg, and also contracted shell shock. He returned to New Zealand in February, 1919, when he heard of the birth of another child. He had not lived with his wife subsequent to his discharge, owing to rumors of trouble he had heard while on leave in England. Witness saw his wife later, and accused her of misconduct. Respondent did not deny the accusation, and witness then went to Northern Wairoa. Later, an order for maintenance had been secured by his wife, and he had obeyed the order for a time. Witness had later offered to take his wife back, and she had telegraphed to him from Gisborne to send some money. He had received no letter, and had sent no money, because he had none to send. Mrs. Harvey, wife of the co-respondent, had given him certain letters in May of this year. The letters were in his wife’s writing. They were addressed to “Roy,” the co-respondent. In September, while at Gisborne to attend the Supreme Court sittings, respondent had spoken to him, and said that he could take the two older children, as she was not going to defend the case, on condition that he did not disgrace the youngest child. Witness had taken the two elder boys, and had had no communication with respondent since. Mr R. B. Hill, who had acted for the respondent in filing and later abandoning the defence, at this stage explained that the case had slipped his memory for the moment. He apologised for his absence when the case was called. His Honor remarked that he wished the solicitor’s presence in order to have a record of the fact that respondent did not wish to be heard. The proceedings were adjourned till tomorrow morning, owing to, the absence of a witness for the petitioner. This report explains what has happen during this period of Stella’s life. The two older boys go to live with their father and the new-born, Terrance Roy (1918-1921), remains with her. Terrance shortly there after dies. About this same time Stella forms a relationship with Angus Joseph Clark (1882 – 1955). Not much is know about Joseph, or his family, other than he went by a number of alias names. We have not uncovered a marriage certificate as yet, but by all accounts they are husband and wife. Stella and Joseph have four children – Natalie Stella (1921), Myra (1923), Patricia (1925) and Angus Barney (1927). The 1938 Electoral Roll has Stella and Joseph living on Hastings Street, Te Puke in the Bay of Plenty, Joseph is listed as a Labourer. We do not have any further records of this period but at some stage Stella and Joseph move to Auckland. 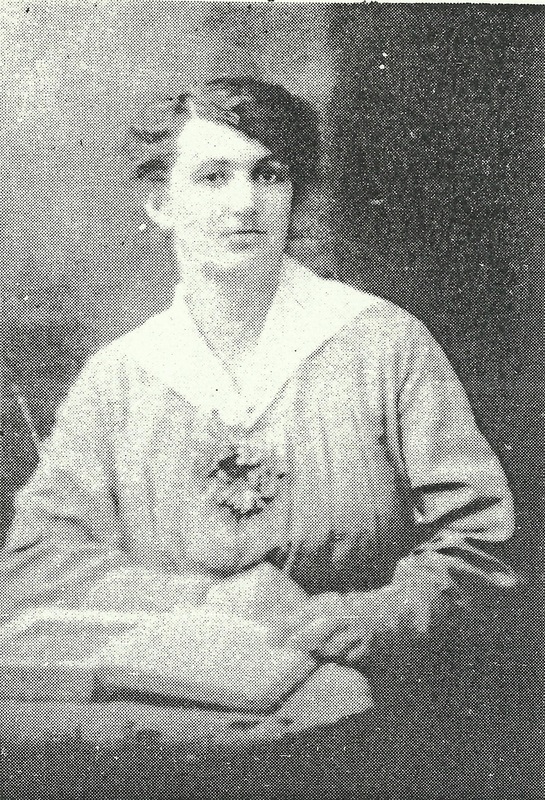 Stella passes away on 3 October 1945 in Auckland Hospital aged 56 (Death Certificate unknown). She is buried in the Hillsborough Cemetery. Sacred to the memory of Stella Morton Clark died 3 October 1945 aged 56 years, also her beloved husband Joseph Clarke died 30 may 1955 aged 73 years.